Author(s) Staddon, J. E. R.
Every day at about 4:30, Jazz, a Hungarian Vizsla dog, leaps up on the sofa and looks out for his owner who always comes home at 5:00. He doesn't need an internal clock because he has an acute sense of smell that allows him to measure how long his master has been absent. Explaining complex behavior in simple ways, this book is a fascinating exploration of the evolution, development and processes of learning in animals. 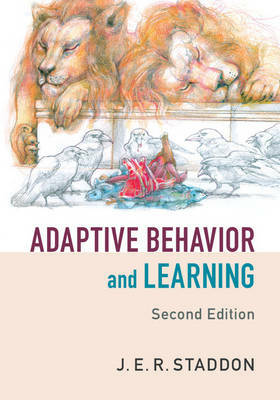 Now in its second edition, there is increased emphasis on development, evolution and dynamics; new accounts of taxic orientation, reflex induction, habituation and operant learning in organisms; more discussion of spatial learning and the processes underlying it; expanded chapters on choice and completely new chapters on molar laws, classical conditioning theories and comparative cognition. J. E. R. Staddon provides a definitive summary of contemporary theoretical understanding suitable for graduates and advanced undergraduates.